Parking is available in our back parking lot (East of Milwaukee Ave. between Church and Cook Street). Complimentary valet parking is available Friday and Saturday nights. When it comes to private events, O’Toole’s of Libertyville can accommodate groups of any size, from an intimate gathering to a large guest reception and everything in between. Our goal is to assure that your event at O’Toole’s of Libertyville surpasses all of your expectations, and assist with everything from entertainment, linens, décor, floral, signature cocktail creations and more. Our culinary and events team and our servers are dedicated to ensure that no detail is overlooked when it comes to planning and executing your special event. We look forward to collaborating with you, our guest, to make your event memorable. 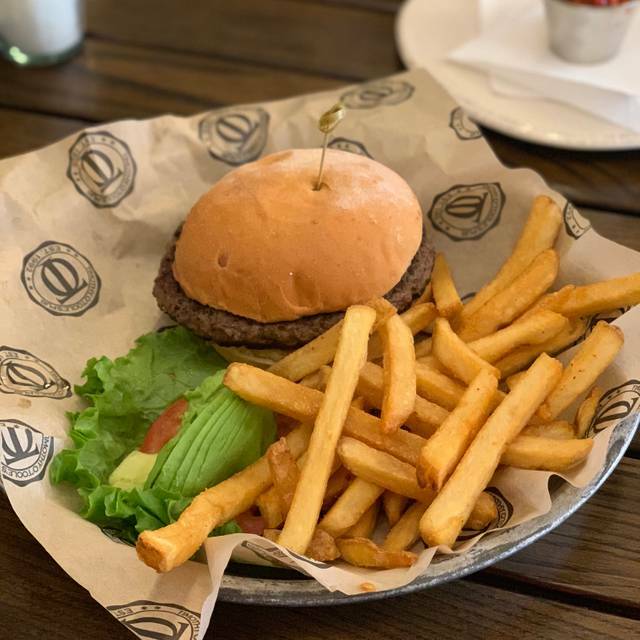 O’Toole’s of Libertyville, located in the historic downtown Libertyville district is a perfect destination for farm-to-table cuisine in a casual environment. 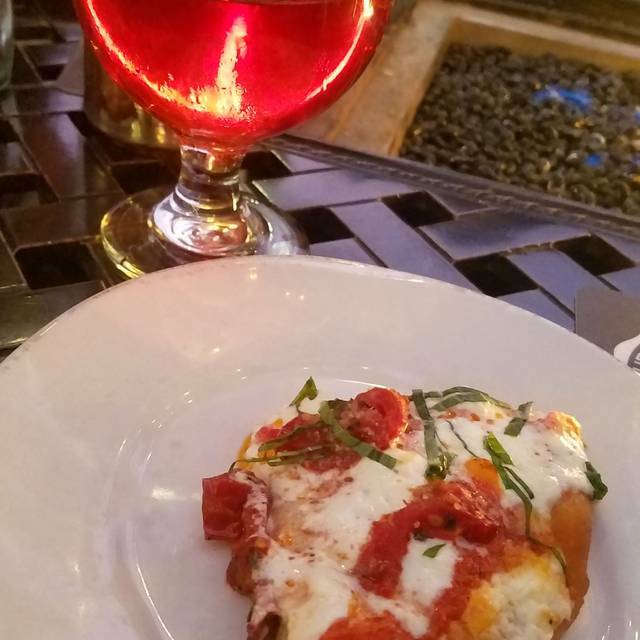 We offer a truly unique, locally- and seasonally-influenced menu, as well as the largest craft beer selection in town. 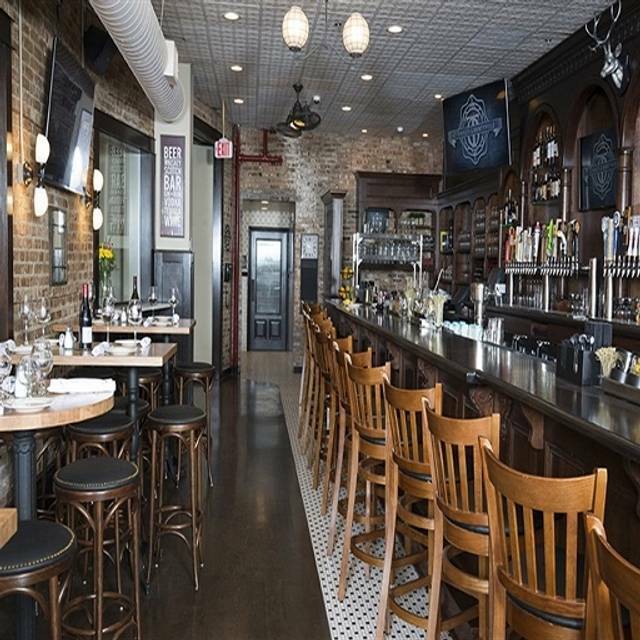 The long awaited gastropub boasts 48 beers on tap, private party rooms and an extensive wine and craft cocktail menu to compliment the chef driven menu concept. We also offer a full menu for Gluten-Free guests! Two 1/2 lb. Burger Patties, Cheddar, Jack, Mozzarella, Swiss, Bacon, Onion Straws, BBQ, Lettuce, Tomato, Pickle, & Red Onion. Served with Irish Nachos. Finish it all and Win an O'Toole's T-shirt! This is our go-to place on Friday nights. Great bottle of wine. Our friends had the boar meatloaf which is always a stand-by favorite. And my wife and I split the steak sandwich which was superb. Love it! Sat n the patio with the heaters. The service and consideration of the staff was excellent. One of our party has food allergies and the waiter went out of his way to verify food content to our satisfaction. Easy parking. Clean, nicely decorated restrooms. Food was delicious and served quickly. Fantastic experience for us. We’ll be back! Great food as usual. Good for groups. Huge beer menu and great cocktails. Good service. Our waiter, Mitchell was excellent. Our hostess was very quick and efficient. Service was excellent. The fish fry was over cooked and greasy. The batter needs to be changed. Our beverages were excellent. The soup and sides were very good. We eating here before and the food was excellent. Seated promptly and greeted warmly, with a reservation. Nice table and fun, knowledgeable waitstaff. Responsive and not annoying service. Good variety on the menu: corn beef egg rolls were delicious, kids loved the pretzels. Extensive drinks and craft beers menus to compliment a delicious dinner. Birthday desserts were generous and fun. (We probably over-indulged.) Loved it, can always count on TO’T for a great night out. Our group of 8 was seated in a separate party room with two other large tables. This used to be the brewing room of the former restaurant; you could tell because the acoustics were horrible. So loud I couldn’t hear the person sitting next to me. Asked to relocate; server and hostess graciously accommodated us. Came here with family members coming to town to help celebrate my husband’s birthday. We love this place. Our waitress was really attentive and sweet about my husband’s birthday. One of our go to places to eat and celebrate. Food was perfect, as usual. Thanks! Good food and Turnbull wine was very good. I would avoid the mixed drinks. This is a beer and wine place. Service was excellent. Wings were awesome. We both had stomach pain for almost two days. My family and I usually enjoy our experience at O'Toole's however this time we went for my daughter's 14th birthday. It was a Friday night around 8pm. I had reservations, got there just on time. They told us to have a seat and we would be called in 15-20 mins. 20 mins passed by and we weren't called. I went to the hostess stand to ask how much longer and was told "Sorry I didn't realize you were already here, we will seat you right away." Lack of communication between the hostess and whoever was covering the front while she sat people I suppose. So we waited 20 minutes when there really were open tables. THEN, they sat us on the second floor where the bar is, it was pretty packed, very loud, and the lighting was so dim we could barely read our menus. The food was great, just wish we could've been seated on the first floor where we could talk with my daughter and her friend on her birthday. Now we know to request to NOT be seated on the second floor, especially on a weekend when it's full of a young crowd up there drinking and being very loud. We made reservations so got seated right away. They asked if we wanted to sit outside on the heated patio which was delightful. We ordered the fish and chips with a side of the Irish ghost sauce and tried the Korean bowl. The Korean bowl tasted amazing especially the house kimchi. Fish and chips were good but one of the fish filets was over cooked. Still a good dish. Overall good experience, good service and food. Bad experience..daddy daughter night plus sat for 15 mins and no one came. Waitress made an excuse she didn't know this was her table. Food below average. We returned because previous experience was great. Left my left overs on the table. Not coming back. Noise was crazy with the little girls running around. The Spaghetti Hey-Os were delicious and served in the cutest 'soup can' dish! My group had a great time! Making reservations was easy, changing the number in our party was easy, paying the bill for a large group was easy. Our waiter was very patient with us and all of our orders were correct. The dance club upstairs was awesome, good music and scene. Made reservation for 8 people at 7 pm, requested upstairs... table was ready, service was great, fish fry, mahi mahi and pretzel bites were a big hit! Great spot sitting on the patio! Warm heaters and great ambiance. Servers are knowledgeable & friendly. Overall, we enjoyed our experience at O'Toole's. The staff is very nice--friendly and polite. The one thing that would have improved our visit is better timing of our meal, i.e. the service was very slow--too much time between courses. It was apparent that there was a shortage of waiters/waitresses. If I had been on a lunch break from work, I would have to have left before main course. Otooles is our go to place in the Ville. Great food in a fun and casual environment. Great food as usual. Service was slow to get our drinks. We weren't offered dessert and felt hurried to leave as they bought the check before we were ready for it. It is too loud inside. The food and service are fabulous. Sit outside! We were there early enough but our wait staff seemed a bit off kilter. It took a long time for our drinks to arrive and not all at once. Plus only 4 of us really had complex cocktails. I don’t like chatty servers it seems ours was chatting with everyone and not really paying attention to our table. My burger was great!! I had the Chicago Fire which is truly spicy for some so get it on the side. The appetizers were very good and I love the guacamole. Service and quickness was great by our server Ali. She suggested great entrees which we thoroughly enjoyed. Everything was delicious. Service was great. The only disappointment was that we went there for lunch on a Tuesday, because they offer 1/2 price bottles of wine. But came to realize that doesn’t include lunch. Only at 5pm. Our first time dining at O’Toole’s and we were impressed by the attentive service, excellent selection of beer and mixed drinks, good food, fun atmosphere, sizeable portions, and fair prices. We definitely will return. Food quality can be hit or miss. Been here several times and sometimes the food quality is spot on and sometimes things are over cooked or seem to be at room temp. Also food delivery to the table seems to occur in stages if you have a larger party. our last visit was a party of eight. And multiple people got their food and then another few minutes went by before other people got their food and several minutes went by before FIL received the last piece of his order.It is a very loud environment so be prepared to shout as you’re trying to talk to your table guests. I enjoy going here when I’m out with friends and just want a cold beer and quick bar food. Portions are very generous. They have a fantastic and creative kids menu. My daughter loves the salmon and the bento boxes. Nice to see more than pizza and hotdogs for kids. I’ve always had great service. The wait staff are always super nice and responsive. Great server! Nice relaxing evening with friends. 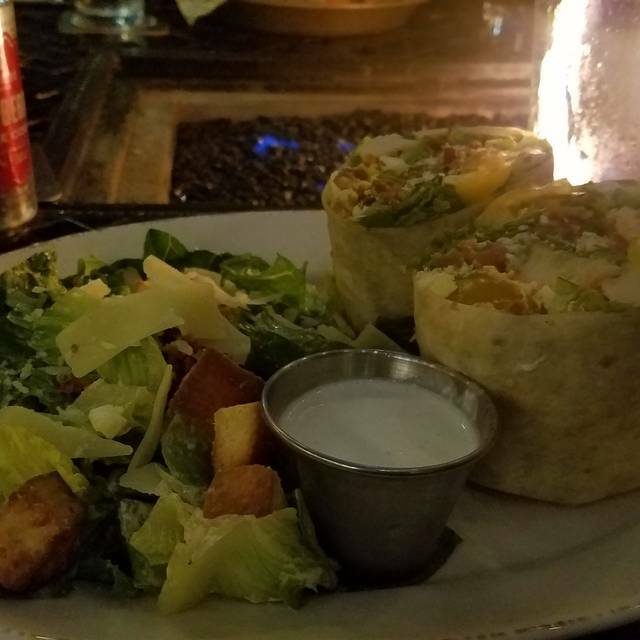 The food is always fresh & delicious! Servers are always so friendly and gracious. Love the patio, even on a cold evening. For Black Wednesday, everything was very smooth. Thank you so much! this was my first time here and the food was delicious I had Ramen bowl with pork and it was huge portion and delicious. My friends had pesto chicken sandwich with tater tots to die for. Our server was amazing and friendly. You can sit outside as it is enclosed with great overhead heaters. Cant wait to go back. Really cute atmosphere and great menu for lunch as well as dinner. Will have cocktails next time as well. Food is not consistent. Sometimes it’s good sometimes it’s ok. Just depends. Very hit or miss. We celebrated 2 birthdays and the attendant was spot on when he brought dessert topped with candles. Food was good, I liked the "small Plate" choices in particular. Waiters very accommodating in our seating arrangement. Great variety of food to choose from and very good. Great place to sit at the bar and have a drink or grab a bit to eat. They’re menu online isn’t up to date so call if you are planning on attending to eat a specific dish. We had a great time. Server took way long to come attend to our table so the manager was kind and gave us two free apps. Overall a good experience. Service from server could be improved.